Need your daily fix of free apps? We’ve handpicked 61 iPhone, iPad and iPod touch apps that are free today only. 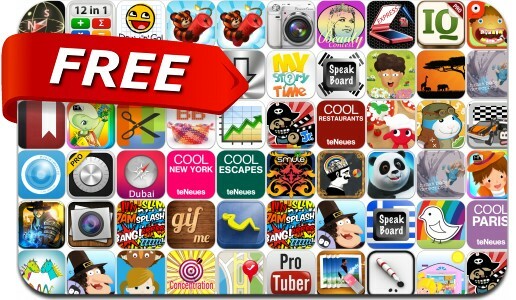 This apps gone free alert includes PowerCam, Momento, AutoRap, Calculator 12 in 1, Tiny Dentist, Scurvy Scallywags, Download+, Bladeslinger Ep.1, Situps 0 to 200, PhotoComic and many others. BraceletBook – Friendship Bracelets: Get Inspired!